What a wonderful, self-contained fantasy book. The world of Graceling focusses on individuals with particular talents, called Graces, such as incredible speed, mind-reading, foresight into the weather, etc. But to un-graced people, they're strange and to be avoided. The overall plot was easy to spot a mile away and there were few surprises (save one), but it didn't make this book any easier to put down. I read the entire 400+ book in two sittings. The prose flows fluidly and quickly while still keeping its rich nature. The only thing that keeps Graceling from being a five-star book though, and this is a minor quibble, is that it feels particularly like a young adult book. I would have preferred more character development, especially between a certain pair of characters and their sweetly blossoming relationship. It maybe a strange thing to write in a review, but I appreciate the fact that this book didn't finish with a cliff ending. The sense of closure was nice. 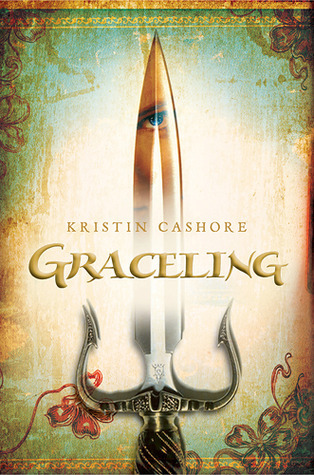 Sign into Goodreads to see if any of your friends have read Graceling. 20.38% "Pretty good so far. I <3 strong female leads."